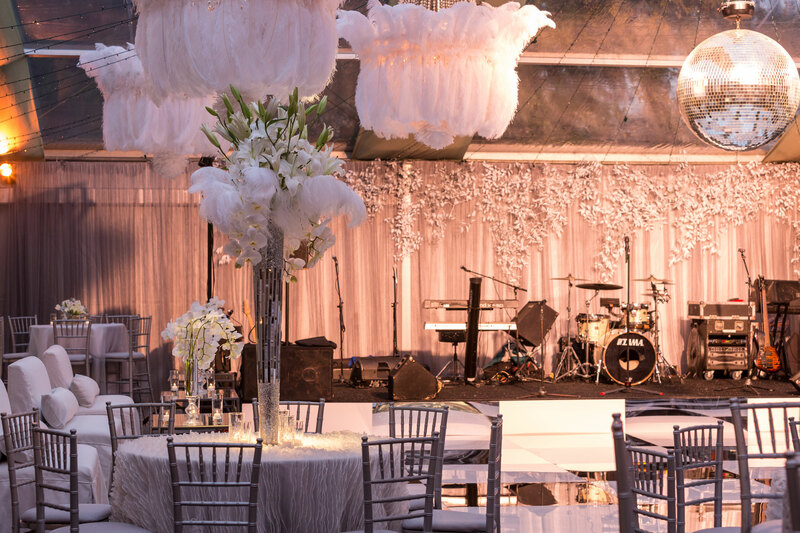 A divine debut for two, this whimsical December debutante ball was the perfect reveal for the best of friends. 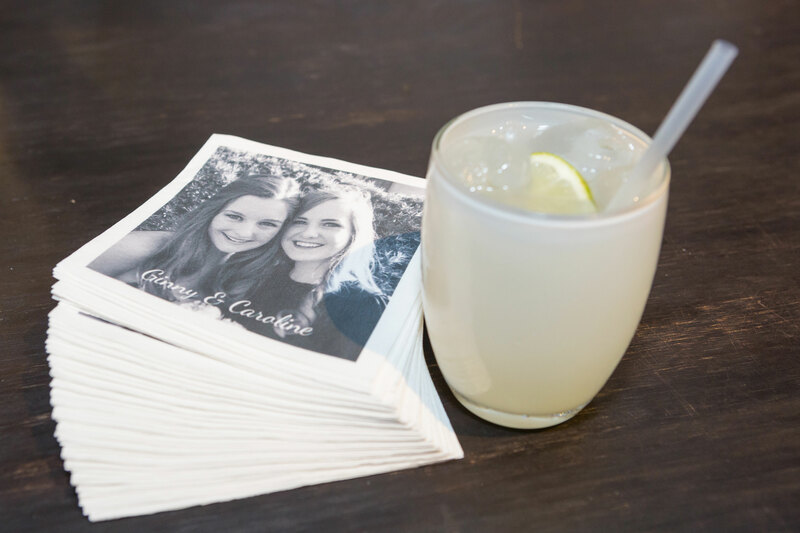 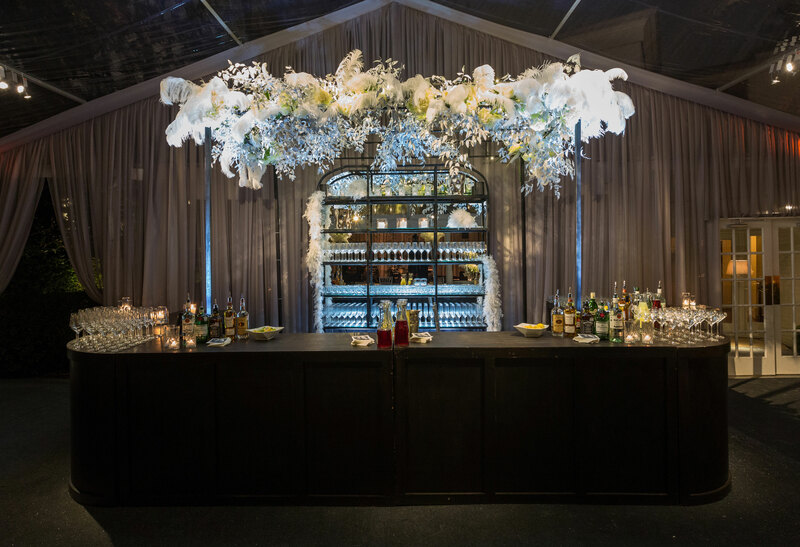 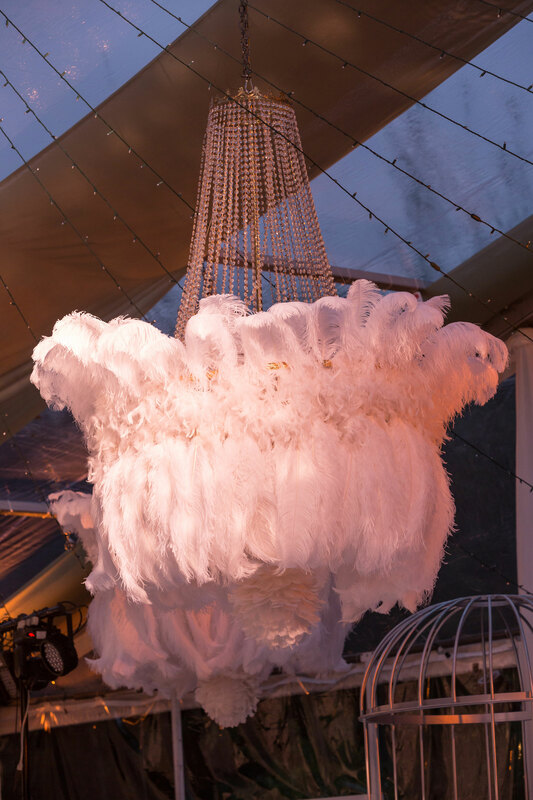 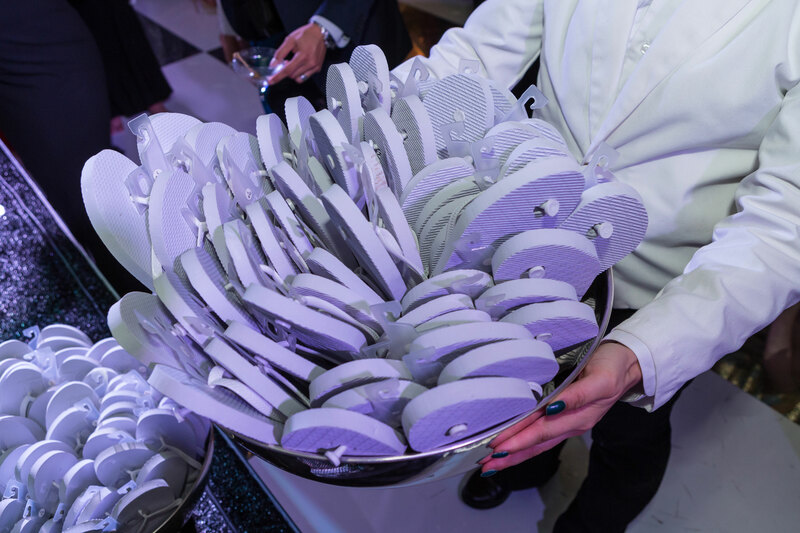 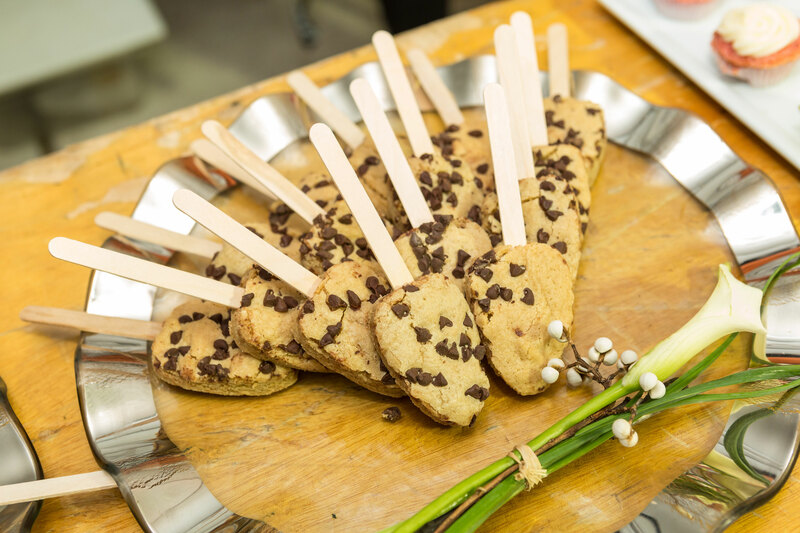 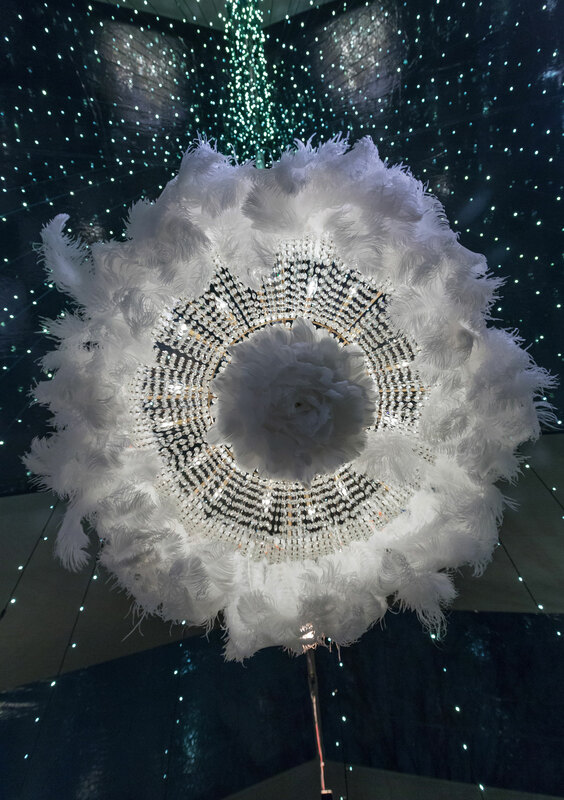 On the 21st night of December, friends and family members of the young debs funneled into an angel-themed celebration structured within a magnificent tent positioned beneath the Winter sky. 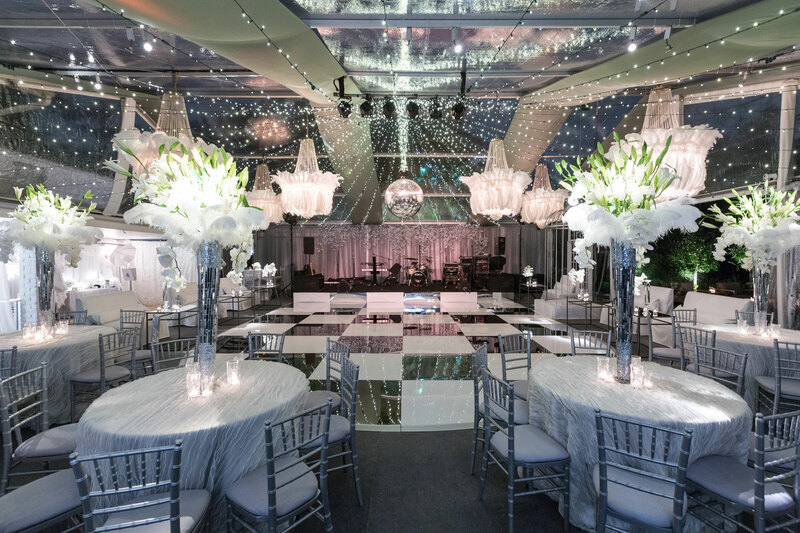 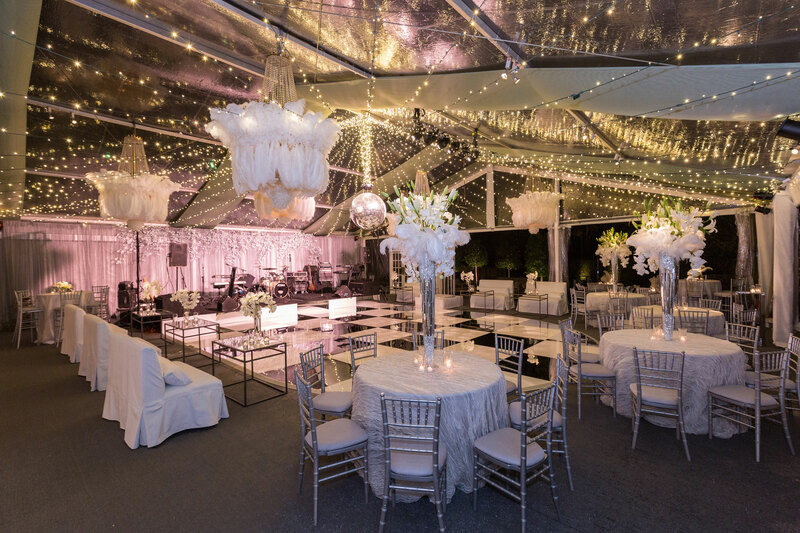 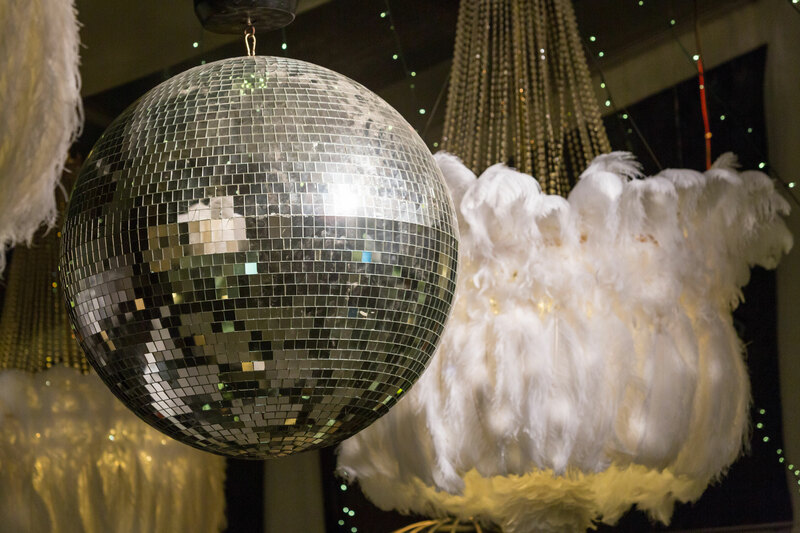 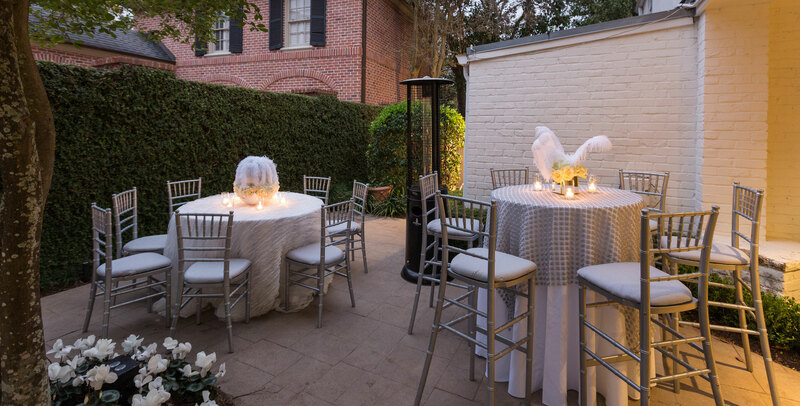 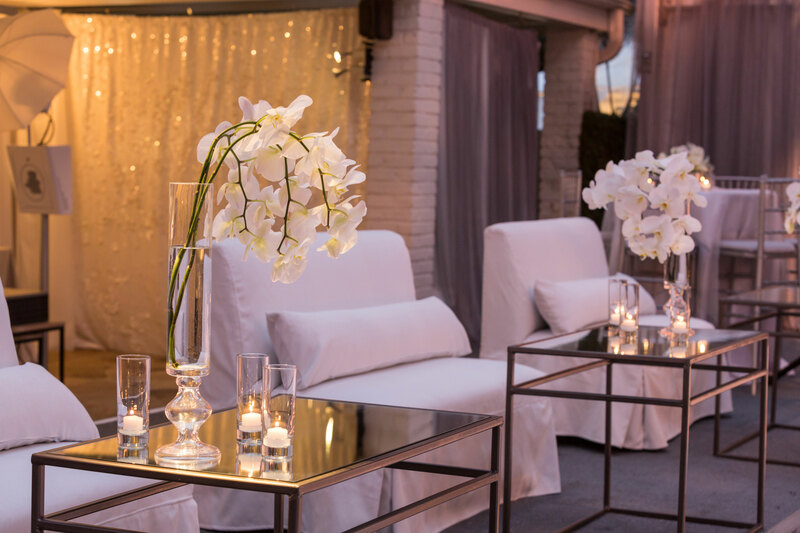 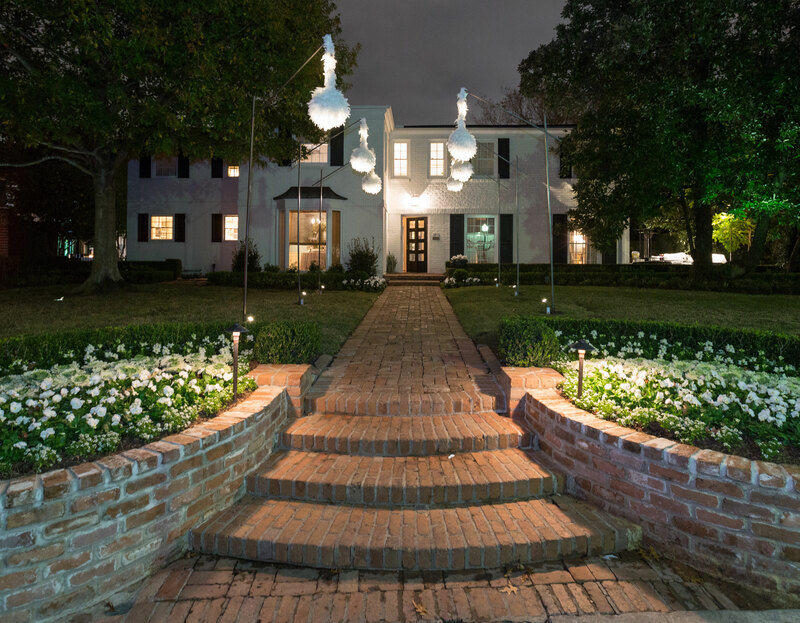 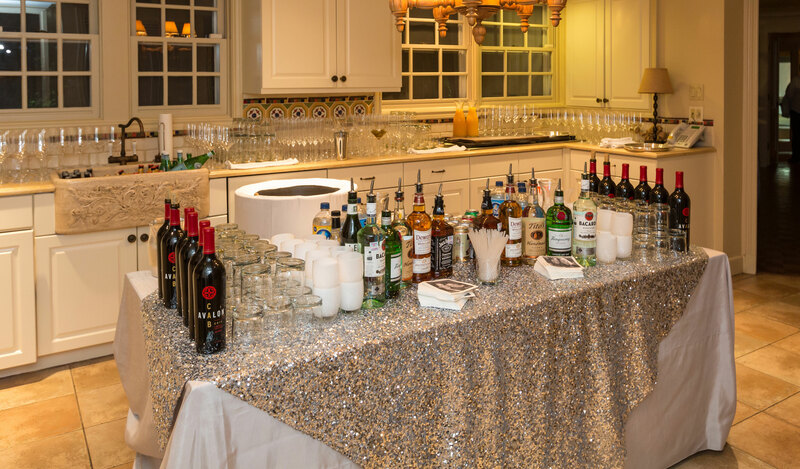 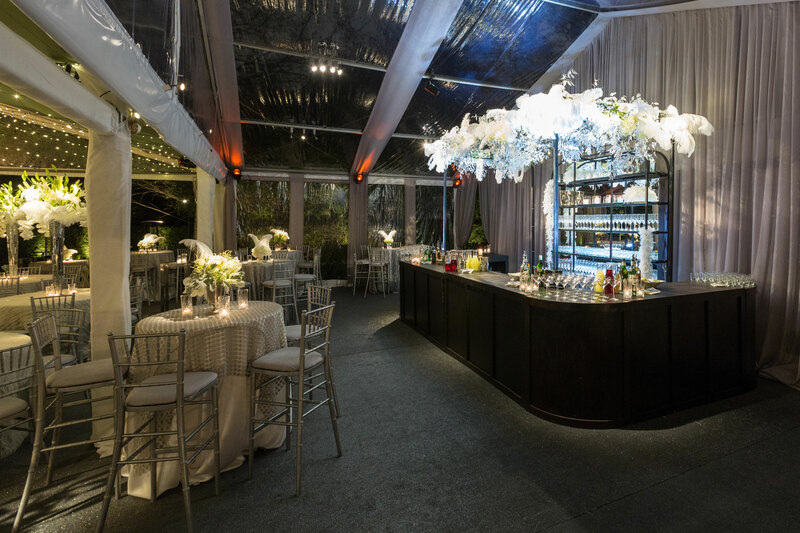 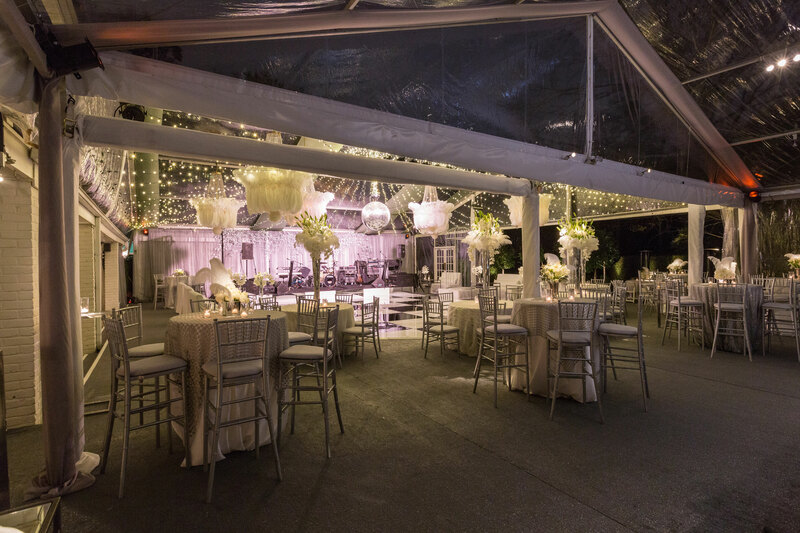 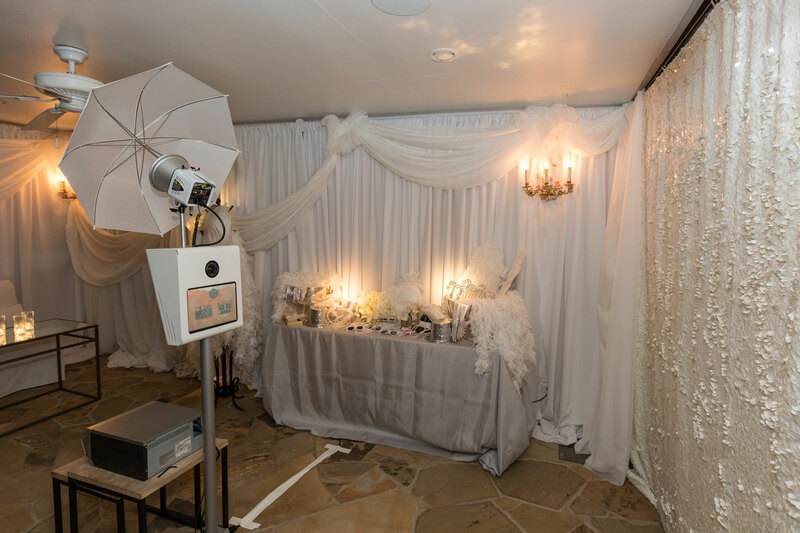 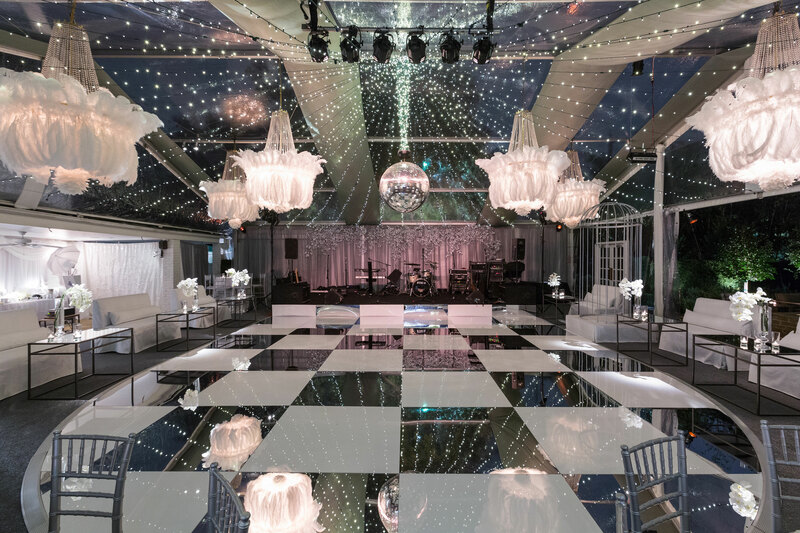 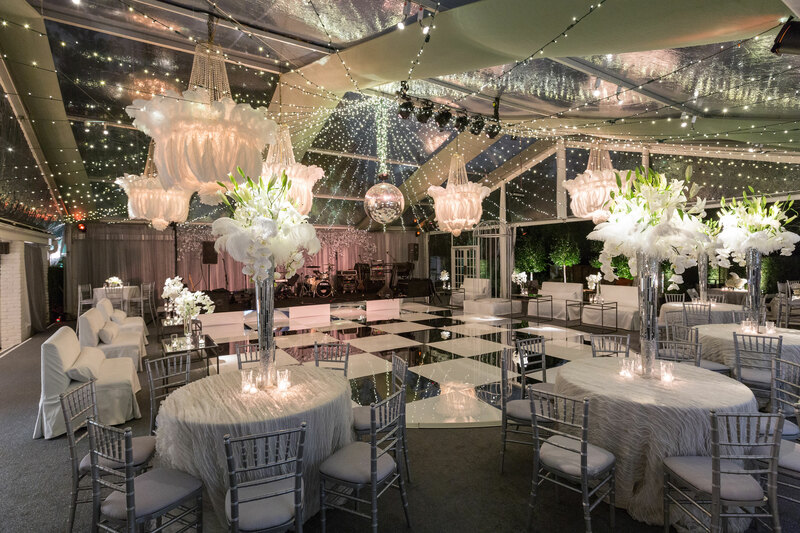 Built from the ground up, the tented backyard was illuminated by soft-string lights and a large disco ball, complemented by angelic white and gray palettes. 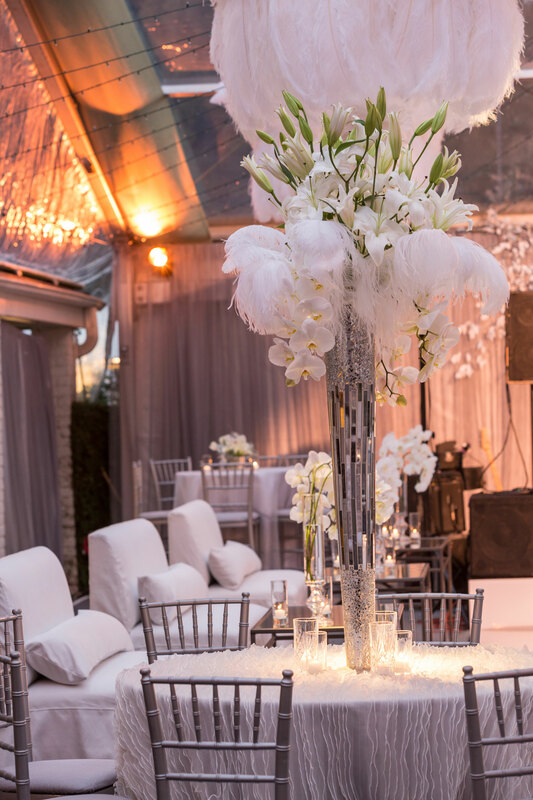 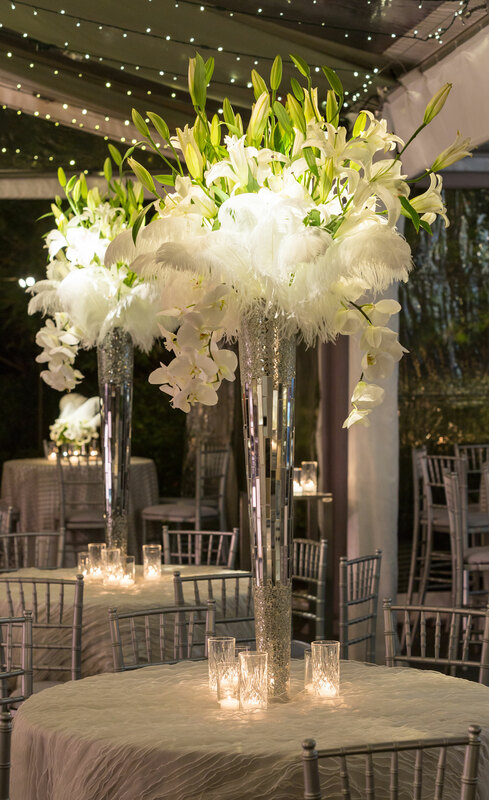 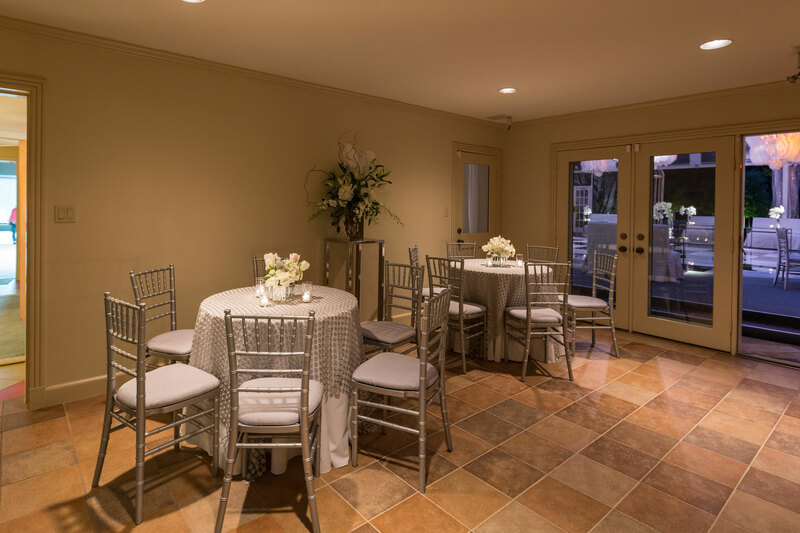 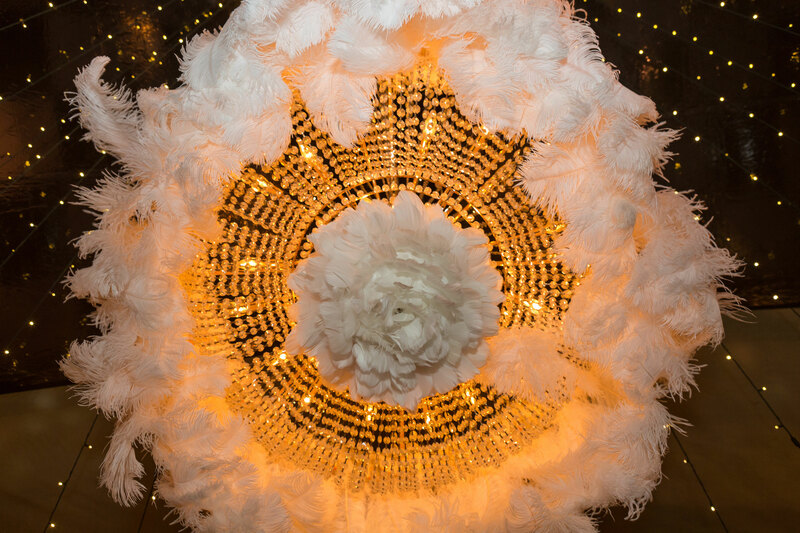 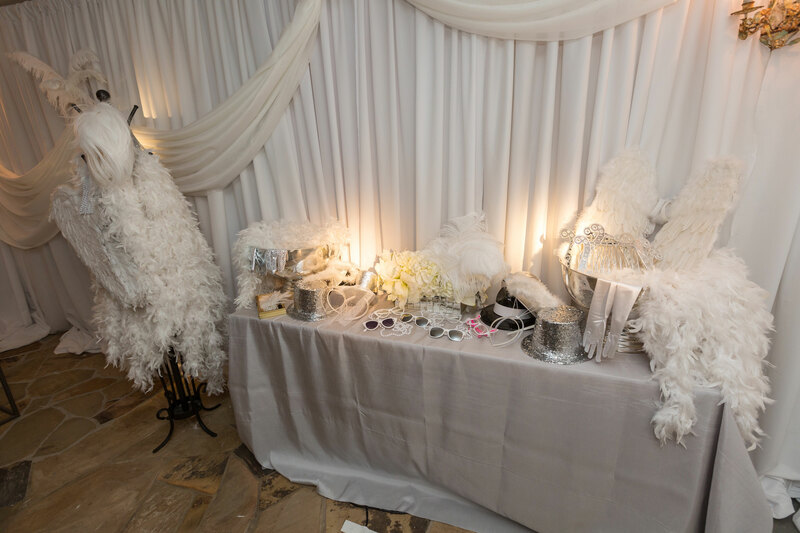 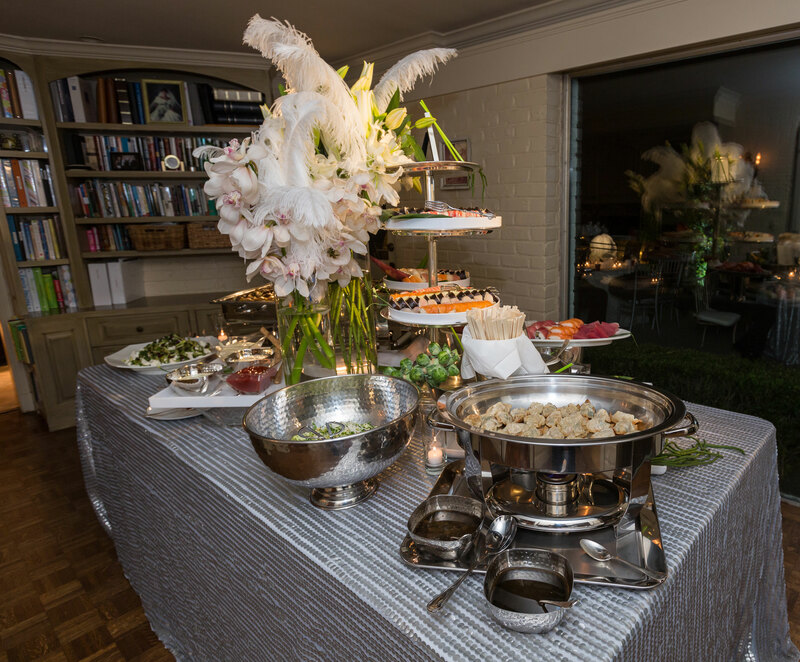 The decor featured white ostrich feathers strung from chandeliers, weaved between flower arrangements and gently flanking buffet stations. 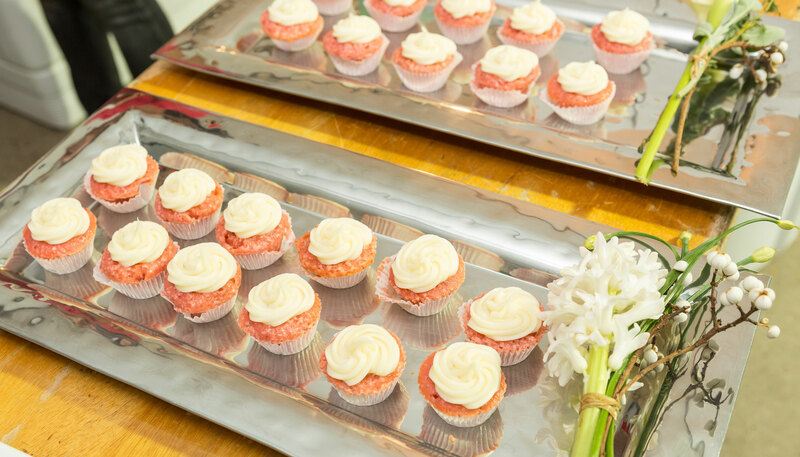 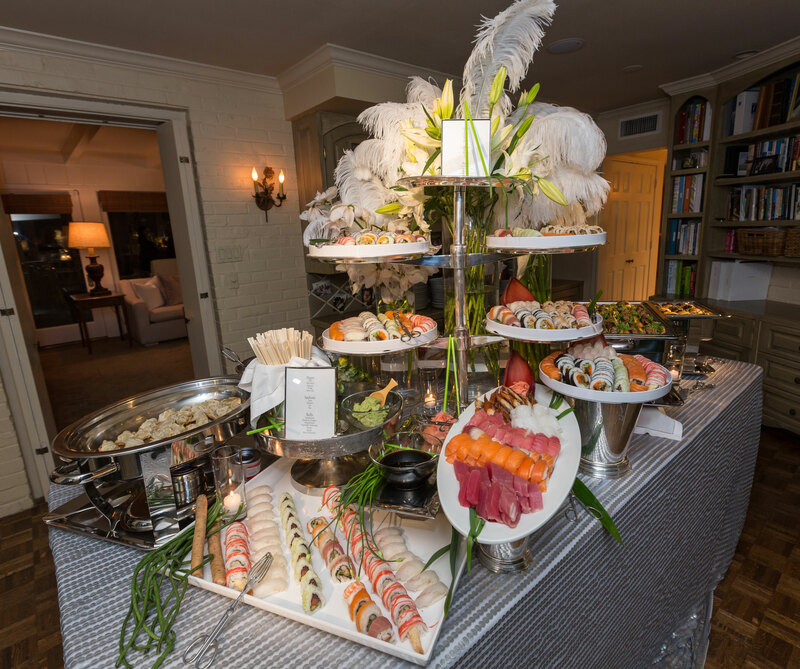 Featuring signature sushi rolls, sliders and French fries, guests dined on the deb’s favorite bites. 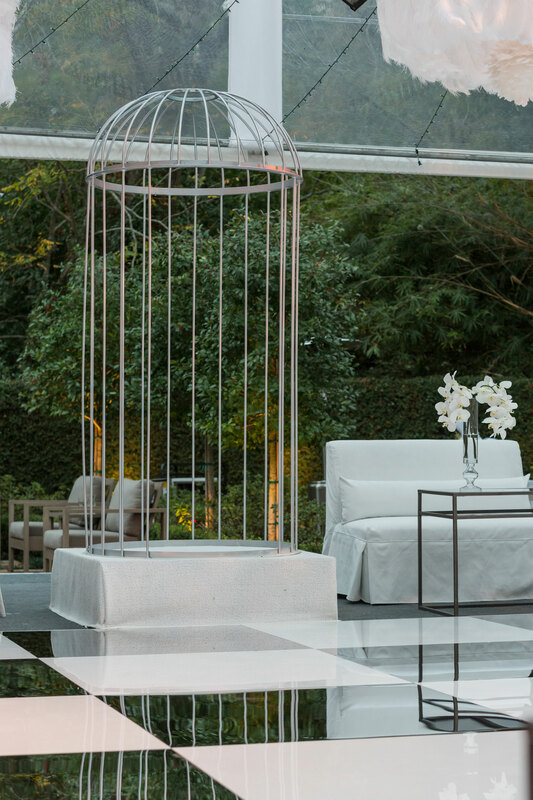 The girls danced the night away with friends on a white and mirrored dance floor to the sounds of a live band, Liquid Pleasure, and posed for photos at a photo booth affixed with white gloves, top hats and angel wings— soon forgetting they were in a young twenty-something’s backyard, but instead engulfed in a brilliant wonderland curated by Swift + Company.